Home › Blog › What Music Do You Need for Your Wedding Ceremony? When you think about wedding ceremony music, you probably think of pipe organs or string quartets playing Richard Wagner's "Bridal Chorus" (better known as "Here Comes the Bride") and Felix Mendelssohn's "Wedding March." While these two compositions are certainly traditional, they are far from the only options you have for your own ceremony soundtrack. While some religious weddings require certain song or hymn selections, many couples are able to customize the music that plays during their ceremony. This is more than just the processional and recessional songs, though – there are several other opportunities for you and your fiance to choose background music that enhances the overall ambiance of your ceremony. Prelude music usually plays for 20 to 30 minutes before the ceremony begins while guests gather and take their seats. A set of seven to 10 light, romantic songs will set the mood for the ceremony and your overall wedding day. This is the music that plays while honored family members (e.g. grandparents and parents of the couple) and the wedding party walk down the aisle. The processional song signifies the official beginning of the ceremony, so there should be a tonal shift from the prelude music. You may even wish to choose two songs to distinguish your family members' entrance from the wedding party. Aside from "the kiss," the bride's entrance is easily the most anticipated moment of many wedding ceremonies. Guests typically stand up and turn around to see the bride as she walks down the aisle. While you can use one processional song for family, wedding party, and bridal entrances, most couples have a pause before the bride enters to switch to a more dramatic piece of music. If your wedding includes special traditions like a unity candle ceremony, you may want to choose a subdued, emotional song to play while this is happening. Some couples also choose to have a friend or family member perform a musical interlude during the ceremony. Your recessional should be a joyous, upbeat song that celebrates the start of your life as a married couple. You and your spouse will exit the ceremony during the recessional song, followed by your bridal party and family members. Depending on when your cocktail hour begins, your guests may not leave the ceremony site right away. You may want to select a song or two to play in the background as they mingle and chat. Like the recessional, postlude songs should be cheerful and celebratory. Once you've chosen the songs for your ceremony, you'll need to think about sound amplification. A good audio system is essential if you want your guests to be able to hear your music, your officiant, and your vows. Check with your wedding vendors to see what kind of sound setup they have, especially if you're having an outdoor ceremony. Weddings held at locations like beaches, lakefronts, and gardens may look beautiful, but it can be difficult to find a power supply for microphones and speakers. One potential solution to this problem is a wireless ceremony sound system, which we provide with each of our wedding entertainment packages. 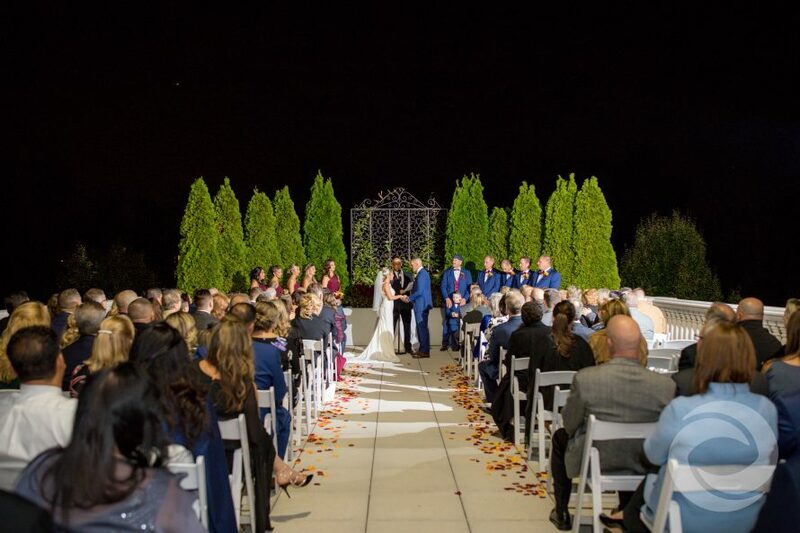 When you hire Hurricane Productions as your wedding entertainment, we'll work with you to plan out the timing for each musical moment of your ceremony. If you're having live music, our high-quality sound system ensures that every musician and speaker at your ceremony is heard loud and clear. Looking for entertainment and media services for your wedding day? Visit Hurricane Productions' pricing page to learn about our all-inclusive packages or contact us for a quote.